That’s what your carpet would tell you it could talk. Thousands of grubby footsteps tracking across your back. Coffee, wine, soda, chewing gum, road salt, asphalt dumped on you. Dirt and grime mashed into your pores. Oh my! If your carpet could talk it would tell you: “I need to be cleaned!” Well we can give your carpet what it needs and what it’s begging for. Our C.A.M. Carpet Appearance Management program will have your carpet feeling fresh and clean. Your carpet will look new again. Our Carpet Appearance Management Program includes four cleanings per year. 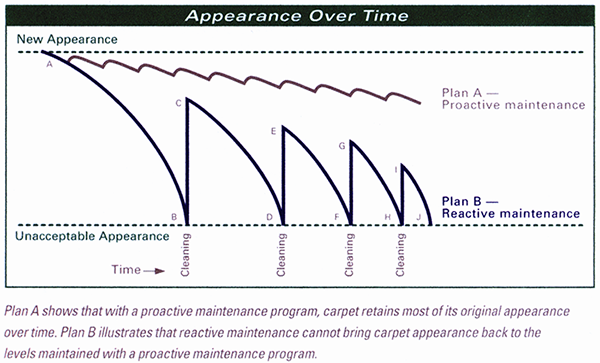 What Is Carpet Sustainability Planning? Sustainability creates and maintains the conditions under which humans and nature can exist in productive harmony, and that permit fulfillment of the social, economic and other requirements of present and future generations. Sustainability is important to making sure that we have and will continue to have the water, materials, and resources to protect human health and our environment. Sustainability in business is planned proactive maintenance of perishable assets. In recent years business has become more focused on the environment than ever before, while still requiring the highest return on overhead investments (longevity of asset). Forward-thinking businesses therefore seek a more sustainable approach to maintenance. A well thought out plan should include a Green Cleaning Program, with green procedures and solutions, as well as higher efficiency cleaning equipment. Just a few of the many benefits of a Green Cleaning Program include improved indoor air quality, a healthier facility, greatly reduced chemical waste, and a terrific image, all while reducing your carbon footprint. A superior Sustainability Program is a cradle-to-grave approach for getting the longest service possible out of perishable assets. The very best results are achieved when implementing this program right from the beginning, immediately following installation when possible. Your commercial carpet installation is a significant investment, both financially and for overall facility image. Like many other major purchases, your carpet will require regular maintenance to perform to its potential. Maximizing your ROI (return on investment) of a costly perishable asset makes good business sense. Carpet, upholstered furniture, even hard surfaces, if properly maintained will last many years longer than neglected floor coverings and upholstery. Neglect will lead to premature wear, sub-standard appearance, and a waste of a valuable asset. The average commercial carpet winds up recycled or in a landfill in 5 to 7 years. Business owners, corporations, and property managers are acutely aware of the expense, headaches, inconvenience and complete disruption of work when it comes time to re-carpet. Sustainability planning will delay the inevitable by years. In the course of doing so, it will save you thousands of dollars for every additional year of service gained. A consistent and effective carpet sustainability program can retain the initial facility image and dramatically extend the life of your monetary investment. It also maintains the value of property and reduces the rate of depreciation. Safeguard the health, comfort and well-being of your employees and customers. A healthy facility is a clean one. Employees and customers are far more comfortable in a clean well-maintained environment. Systematic cleaning based on time, not just appearance, is the key to this healthier indoor environment. When your employees are comfortable and feel good about their surroundings, morale is improved and absenteeism reduced. Customers gladly return to facilities where there is a clean, comfortable atmosphere. 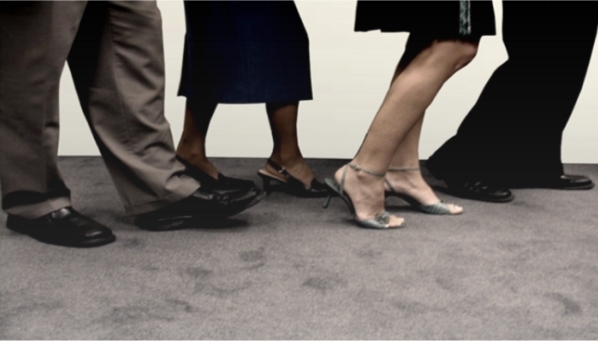 Your carpet provides a major contribution to the overall appearance and comfort level of your facility. People subconsciously judge your business in many ways. A sparkling clean facility creates positive feelings! Ultra-Clean has had these sustainable maintenance practices in place for many years and are experts in the field.